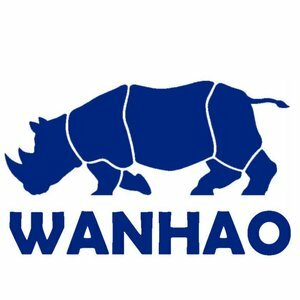 Wanhao has released a series of affordable resins in 8 different colors with the arrival of the Wanhao Duplicator 7. Meanwhile, the plastic packaging of the resins has been replaced for an aluminum packaging. The cap of the bottle is greatly improved and provided with an extra closure. The Wanhao UV resins are suitable for various UV, SLA and LCD 3D printers that work with a wavelength of 405 nm. Depending on the illumination source, the exposure time varies between 8 and 16 seconds. The printed parts can be cleaned with isopropyl alcohol and for the best result the printed parts have to harden in UV daylight or for example a UV curing box.